About that transformer story…it’s true! It was done for me, although I would not be surprised if Fred has not done that for someone else. When I first acquired my RCA BTA-500MX a few years back, one of the low voltage transformers was burned to a crisp. I visited Fred at his museum, and took the damaged transformer along with me to compare to the unit in his RCA BTA-1M. Upon seeing the transformer, and hearing of my plight, Fred not only took the transformer to be rebuild for me, but had it shipped to the front door of my house a few weeks later! All for free, without asking or expecting anything in return. During the same visit Fred also loaded me up with spare 833 tubes for the unit. Upon hearing that someone had replaced the mercury vapor rectifier tubes with solid-state units, Fred promptly handed me several “hollow state” replacements for the “proper glow”. I always enjoyed visiting Fred and his museum with Bill K2LNU and the other Buffalo gang. We were indeed fortunate to live close enough to make this short trip several times. Typically we would meet at the Swiss Chalet in Guelph, where Fred always wanted to pick up the tab, before heading off to his museum for hours of fascinating discussion on Real Radio. One of the things that I enjoyed most about Fred, aside from his spectacular memory, outstanding generosity, was his idea of how a radio museum should be run. Fred’s museum was not a “hands off” affair by any means. A most of the amateur equipment was connected and functional. Ever wanted to operate a Collins KW-1? I did, for the first time at Fred’s museum. How about sending your callsign with a spark gap transmitter, also at the Hammond museum. How about broadcast transmitters? Fred had two commercial transmitters that had once graced AM broadcast stations. 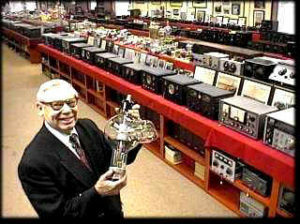 Both Bill K2LNU and I acquired broadcast transmitters after viewing and using Fred’s. Converted to work on the amateur bands, typically 160 meters, these unit offered superb audio, bulletproof construction, and were typically available at a low cost, or even free! Free you ask, nothing is free. 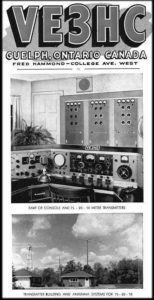 Many of the commercial stations were in the process of converting from tube to solid-state equipment, for reasons of lower energy cost and reliability, and the station engineers who had cared for the tube transmitters for decades, we more than happy to give them a new home with a willing amateur. The alternative, to scrap out the units, was unthinkable. Not lightweights by any stretch of the imagination, Bill and I both hauled home 1500 lbs units. 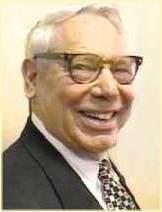 Fred loved people as much as he loved radio, and it was that sincerity that made my visits so enjoyable. The new museum location, although wonderful in layout and execution, is sadly missing once crucial element that I enjoyed so much in my previous visits, and that element is irreplaceable, Fred himself.